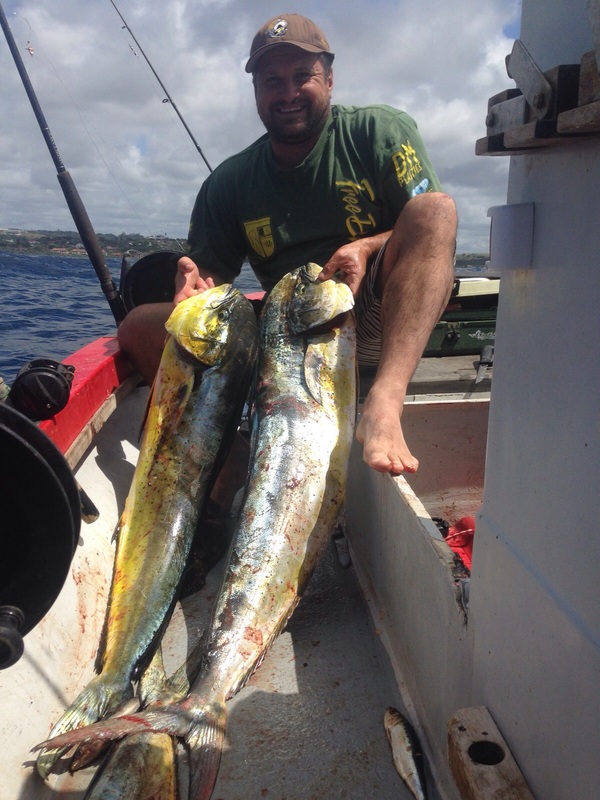 The KZN Dorado Season begun a few weeks back when these nice fish were taken off Port Shepstone. Marc Lange caught these two fish on the drift with bait. Very exciting fishing when they come around the boat like that. But the drought has wreaked havoc on seasonal influences. The water down south, which is usually an orange brown this time of year, is crystal clear. Even the water in the Umzimkulu river is to to bottom and blue. The river mouth is open and coming back to normal after millions were spent trying to alleviate the salt from seeping right up to the pump stations which water Port Shepstone. Salt week! Thanks Bevis, for last week’s excellent editorial in the South Coast Herald! KZN South Coast Dorado bite on!